When I get new voice-over students, I make it a point to get a full background on them and find out what made them want to get into the business in the first place. And most of the women are just getting coaching as an excuse to meet me. But every once in a while I get a unique or interesting story. For instance, about two months ago a student told me that he had been interested in voice-over ever since he was a kid and heard the announcements on the monorail at Walt Disney World. I had forgotten how enamored I had been with that voice myself as a lad, and so we had some fun reminiscing, and it was a pretty neat moment. Here's the weird part. The other day I was talking to another candidate, and he gives me the exact same story, almost word for word. My jaw nearly dropped. It was like Groundhog Day except funny. What an odd way to get a kid interested in VO, no? And two of them in less than two months! Weird. During the system’s early years, the trains featured Wagner’s narration of the sights and scenery along the way, as well as information on special events, the resort, and the monorail system itself. [Other actors have since taken over but] today the “stand clear” spiel remains in Wagner’s voice. This is at least partially due to the fact that the audio for the doors is generated via a separate system than that for the rest of the narrations. Listen to a sample of the audio, from the Jack Wagner Tribute site. Most of the recordings were made at his own house where he had a recording studio. 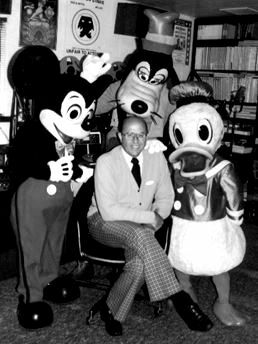 It was put in by Disney in the 70’s and connected to a voice-over booth in his home to Studio D at Disneyland in Anaheim. At this time Jack’s home in Southern California was one of the first uses for a direct audio link from a remote recording studio. A big advantage for Disney - whenever an urgent announcement was needed, a quick call was enough, and Jack would already be sitting behind his microphone. Cool. Actually, I thought the whole story was pretty cool, so I wanted to share it with you. Back when I had stars in my eyes it was the late, great Don LaFontaine who inspired me, and I am thankful for even the relatively small amount of interaction we had before his unfortunate passing. So ... how did YOU get the VO bug? 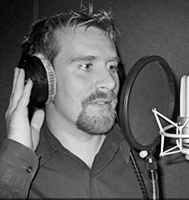 Erik Sheppard is a voice talent, voice-over coach with Edge Studio, and owner of Voice Talent Productions, an online voice-over casting company. With over 12 years of professional experience, he has voiced thousands of high profile projects worldwide, ranging from corporate presentations to national radio and television campaigns. His many clients include Verizon Wireless, Citibank, HSBC, American Express, Ebay, MTV and TV Land. No Dave, she was busy politely laughing at my stupid jokes. Perhaps she shouldn't have encouraged me, but having a fun outlook has helped me immensely in this business. Fantastic stories everyone, thanks for sharing! "And most of the women are just getting coaching as an excuse to meet me." Please. Self-flattery is so unattractive. Didn't Mommy teach you that? For twenty years I was CONSTANTLY being told by (non-Family) people that I sounded like Tom Brokaw, Peter Graves, or "are you one of those guys that narrate for the History Channel?" It finally got to the point where I said to my wife, maybe I ought to try this voice-over thing. That was five years ago, and I'm happy to say it was the right decision. I think it was James Earl Jones for me, although now that I am a voice talent I can point to many references and influences over the years. 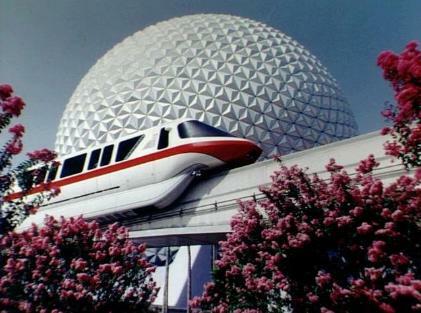 I did want to say that I, too, loved the monorails. I can't say that Jack Wagner "inspired" me to start a career in voice-overs, but I remember when I visited Disney as a young boy (and the monorails were still new) being in awe of them. Going back recently as an adult, I made my whole group ride the complete loop between parks with me just to satiate my nostalgia. Not to knock Mr. Wagner's talent and appeal, but I think sheer amazingness of the monorail to some may have created and impressionable experience. 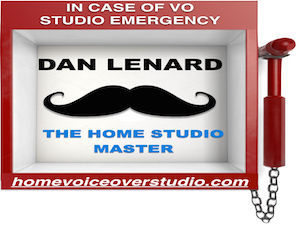 Thanks so much for this "Back in the day" peek into one of the greats of VO. Just an FYI about your inference to "ISDN back in the 70's" ... for many years before ISDN, the phone company offered special phone circuits called "Equalized Loops." 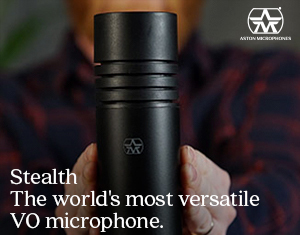 You could buy 8Khz or 15 Khz worth of bandwidth for transmitting audio to and or from locations. Radio and TV stations were the most common customers, using it to get audio to their transmitter sites from the studios when microwave transmission was too costly or not possible. They also used the "Loops" to bring audio back to the studio so they could hear what was going on the air at the transmitter end and sometimes as their "Air Monitor". These lines were live 24/7. These days, you can still buy these kinds of lines, but instead of being analog lines, they are essentially ISDN lines slightly modified down for less bandwidth than ISDN (which is 128Khz bandwidth), but still digitized. PS: Another Disney great is Mark Elliot, who is one of the guys in DLF's "5 men in a Limo" video. PPS: I got the bug one day when Methuzalah and I were riding dinosaurs to a fish fry and he looked over and said, "You've got a terrific voice. 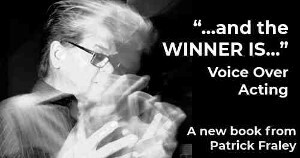 Ever think about doing VO? I got a cousin in the biz - I can hook you up!" My grandfather, Red Barber, was the arena announcer for the Toronto Maple Leafs. As he announced the goals and penalties, I hung out in the broadcast booth at Maple Leaf Gardens, watching Foster Hewitt announce the hockey games on radio. My father was a fan of old radio plays, so I was steeped in The Shadow, Gunsmoke with William Conrad, and Orson Welles’ War of the Worlds etched on my dad’s vinyl records long after they went off the air. Cartoons like Hercules, Johnny Quest and Max Fleischer’s Superman were childhood inspirations for me. I read aloud the 10-cent comic books that my allowance allowed me to buy each week – putting voices to the dialogue balloons. Ironic that just yesterday I was in studio doing ADR for “Doc” in the Viper’s Creed cartoon. When I went to movies, I was the last to leave the theatre, waiting through the credits to hear the trailers (when they were still trailers, not previews). I’m sure I was a fan of Don LaFontaine long before I knew who he was. And of course, I fell asleep with my transistor radio hidden under my pillow so I could listen to the all night show. In the late 1970s my transistor dreams cam true when I broke into radio – naturally on the all night shift. And 30 years later, as I read your article, I sit in my home studio producing radio commercials for monster truck shows and narrating a 26 episode education series. You said it best Erik, in your summary of Jack Wagner’s story … VO is still just so cool. The studio connection would have been a leased (analog) telephone line, such as those used to connect a radio station studio with its transmitter outside of town. Expensive, so Disney must have felt it worth it to have Jack constantly "on call"! I first got the VO bug in high school - did the morning announcements on the PA system. I also admired the classic cartoon voices, as well as the narrators on PBS documentaries and educational films.